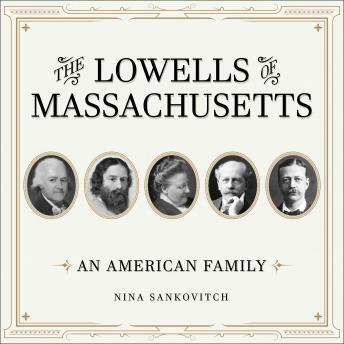 The Lowells of Massachusetts were a remarkable family. They were settlers in the New World in the 1600s, revolutionaries creating a new nation in the 1700s, merchants and manufacturers building prosperity in the 1800s, and scientists and artists flourishing in the 1900s. Though no strangers to controversy, the family boasted some of the most astonishing individuals in America's history: Percival Lowle, the patriarch who planted the roots of the family tree; Reverend John Lowell, the preacher; Judge John Lowell, a member of the Continental Congress; Francis Cabot Lowell, who some say was founder of the Industrial Revolution in the US; James Russell Lowell, American Romantic poet; Lawrence Lowell, one of Harvard's most controversial presidents; and Amy Lowell, the twentieth century poet who lived openly in a Boston marriage with the actress Ada Dwyer Russell.